Bill Shorten says Labor’s targeting of trusts is about delivering a level playing field in tax. Labor has taken another step to put tax and fairness at the centre of its policy agenda by proposing a crackdown on discretionary trusts, which it claims would raise A$4.1 billion over the forward estimates and $17.2 billion over a decade. A Labor government would apply a minimum 30% rate of tax on discretionary tax distributions to beneficiaries over 18 years old. According to the Parliamentary Budget Office, the change will affect 318,000 discretionary trusts. The policy would not apply to farm, charitable and philanthropic trusts. Also unaffected would be non-discretionary special disability trusts, deceased estates trusts, fixed trusts, cash management unit trusts, fixed unit trusts, and listed and unlisted public unit trusts. Announcing the crackdown, Opposition Leader Bill Shorten said it was about delivering a level playing field in tax, “so high-income earners can’t opt out of paying income tax”. “Tradies and retail workers and mechanics and cleaners don’t get to choose how much tax they pay – and neither should anyone else,” he said. With the government claiming the change would hit small business, Labor insists “small business will continue to enjoy asset protections”. The trusts policy comes on top of Labor’s commitment to tighten negative gearing and capital gains tax concessions and to reimpose the deficit levy on high-income earners, among other measures. The opposition has yet to announce what it will do about the already-legislated tax relief – being phased in – for businesses with turnovers of up to $50 million. It is expected a Labor government would want to retain that only for smaller businesses. The ALP policy document points out that wealthy people are much more likely to have a trust than those with lesser incomes. The average amount in private trusts by the wealthiest 20% of households is more than $123,000, compared with $4,000 for the next quintile. Discretionary trusts are used by individuals and businesses to reduce their tax by shifting income to those in a lower tax bracket. “This practice of ‘income splitting’ through discretionary trusts is used frequently by wealthy Australians to minimise their tax,” the policy says. “Income splitting allows high-income Australians to avoid paying the marginal tax rate that should apply to their income level – something ordinary PAYG taxpayers can’t do,” it says. The policy gives the example of a surgeon, “Sam”, with a non-working wife “Melissa”, and two non-working adult children. The surgeon earns $500,000 from his work income, and pays PAYG tax at the top marginal rate. The number of discretionary trusts has nearly doubled since the late 1990s to more than 642,000. The increase in non-discretionary trusts – without the same tax minimisation opportunities – has been much lower. In 2014-15, more than $590 billion of assets were in discretionary trusts. 13% of individuals in the lowest-income tax bracket receive distribution from a discretionary trust. This is much greater than for those on higher incomes. “This indicates that a significant amount of income is being shifted from the wealthiest individuals to those earning little or no other incomes (for example, non-working members of the family such as spouses and young adults in full-time study) to reduce the amount of tax paid,” the policy says. Labor says the proposed 30% rate “strikes the right balance between ensuring a fair amount of tax is paid on all trust distributions, while also aligning it with the rate for passive investment companies which also face a 30% rate of tax”. Labor stresses the reforms “will not affect 98% of all individual taxpayers in Australia, with virtually all the revenue raised from people receiving trust distributions who have little or no other work income”. Asked why farmers were being exempted, Shadow Treasurer Chris Bowen said they had “issues when it comes to lumpy income and various issues relating to agriculture”. 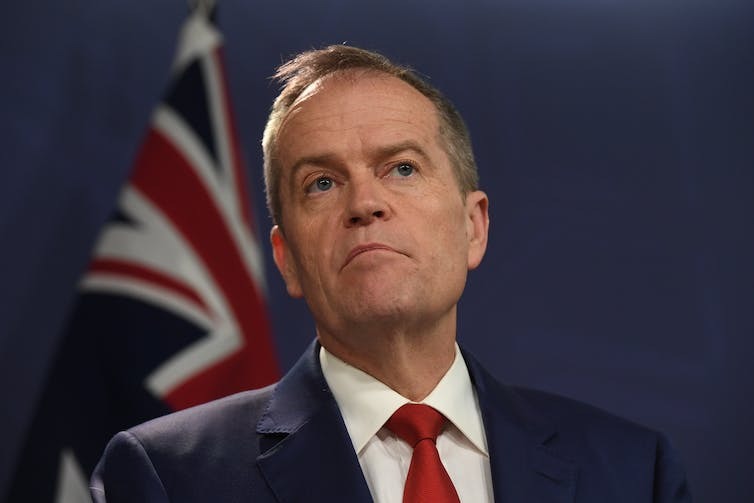 Michael Sukkar, the assistant minister to the treasurer, called for Shorten to release the full Parliamentary Budget Office costing, including the assumptions Labor had used to come up with the revenue being claimed. “Australians know that Bill Shorten cannot be trusted. This also goes for his latest $17 billion tax-grab that will once again hit small business and their families,” Sukkar said. The link below is to an article reporting on the release of a pastor from jail in Iran. The link below is to an article reporting on the release of Ebrahim Firouzi from an Iranian prison. The link below is to an article reporting on the release of Christians in Iran. The link below is to an article that reports on the release of an Indian pastor after 8 years of imprisonment, having been suspected of being a Communist rebel. The link below is to an article reporting on the release of the first ‘gay’ Bible – I guess it was bound to happen sooner or later in this age of Bibles for everything and every occasion. The link below is to an article reporting on the release of an Iranian pastor after three years in jail. The link below is to an article reporting on the release of Iranian pastor Youcef Nadarkhani from jail in Iran.